Heat oven to 375°F. 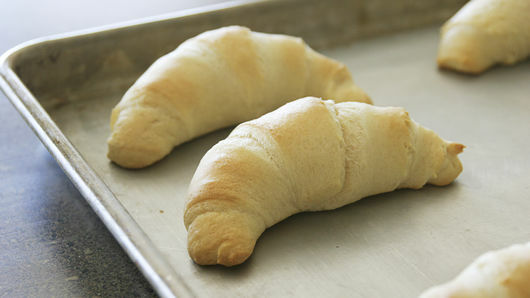 Bake crescent rolls as directed on can. Cool completely. In small microwavable bowl, microwave chocolate chips and shortening uncovered on Medium (50%) 1 minute. Stir; continue microwaving in 30-second increments until mixture can be stirred smooth. 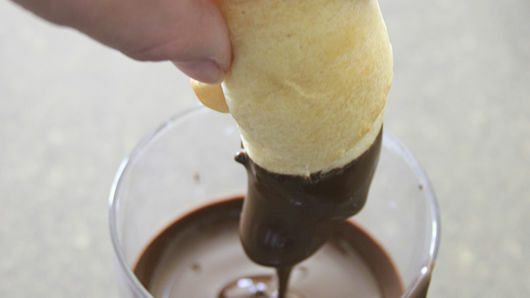 Dip half of each crescent into chocolate. Let chocolate drip off before transferring to cooling rack to dry completely. By dipping the crescents into chocolate, you will have extra chocolate (as opposed to spreading it on the crescents). 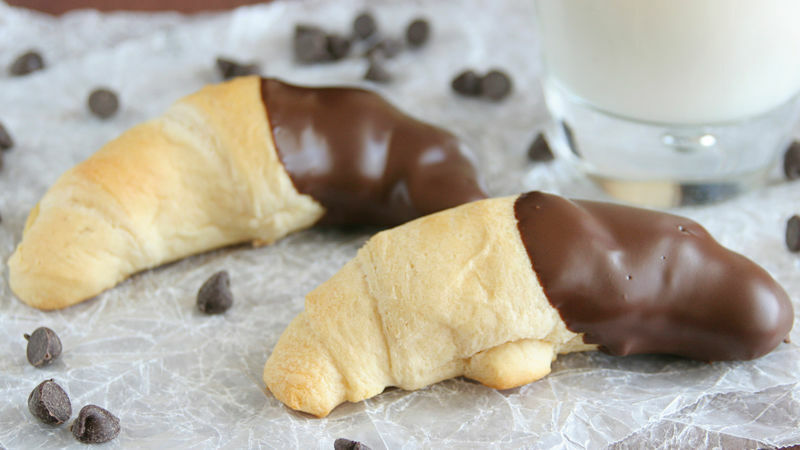 If you want less waste, make half the amount of chocolate and drizzle on top of the crescents instead of dipping. Make the crescents festive by adding sprinkles before the chocolate dries.